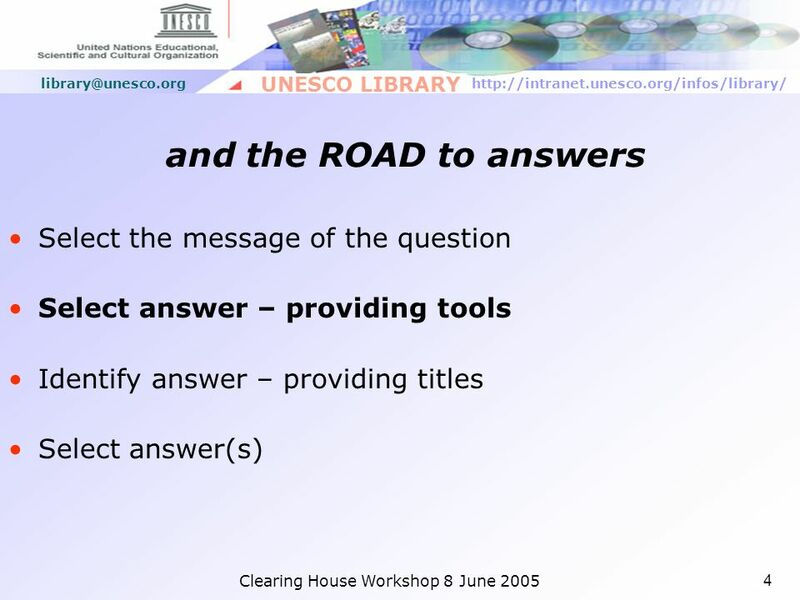 UNESCO LIBRARY To know where to find it UNESCO Library resources at your fingertips Presentation. 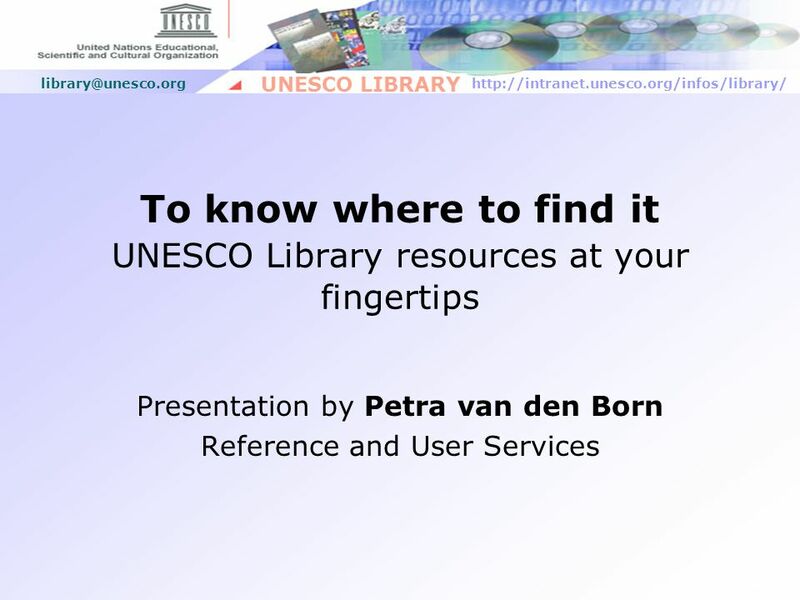 Download ppt "UNESCO LIBRARY To know where to find it UNESCO Library resources at your fingertips Presentation." 1 Bibliothèque Dieter Schmidt Resources and services MBA 2011 Martine Allègre September, 14th. 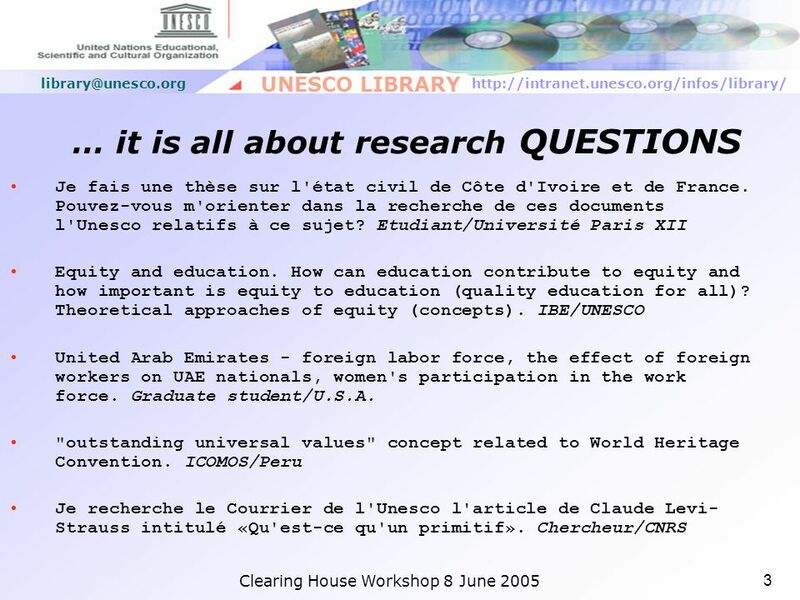 Group Purchases of Korean Online Databases Mikyung Kang Korean Studies Librarian UCLA. 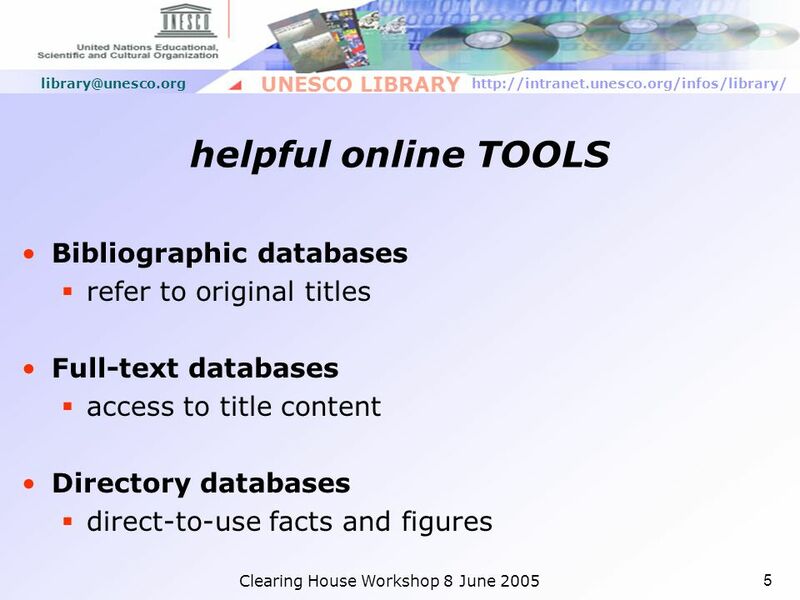 An Overview of OLAC: The Open Language Archives Community Gary Simons and Steven Bird Workshop on The Digitization of Language Data: The Need for Standards. Slovenian experience on 98/34 Notification Procedure Conference on the Functioning of the 98/34 Notification Procedure, Brussels, 22 June 2005 mag. Irena. GCSE ROLE PLAY 1.At the café a) Say you would like an orange juice and a coffee. Je voudrais un jus dorange et un café. b) Say you want a beer for your. Welcome to the New Library Website. The website has been revised to offer: Quick catalogue access to diverse resources and archives in the library Awareness. 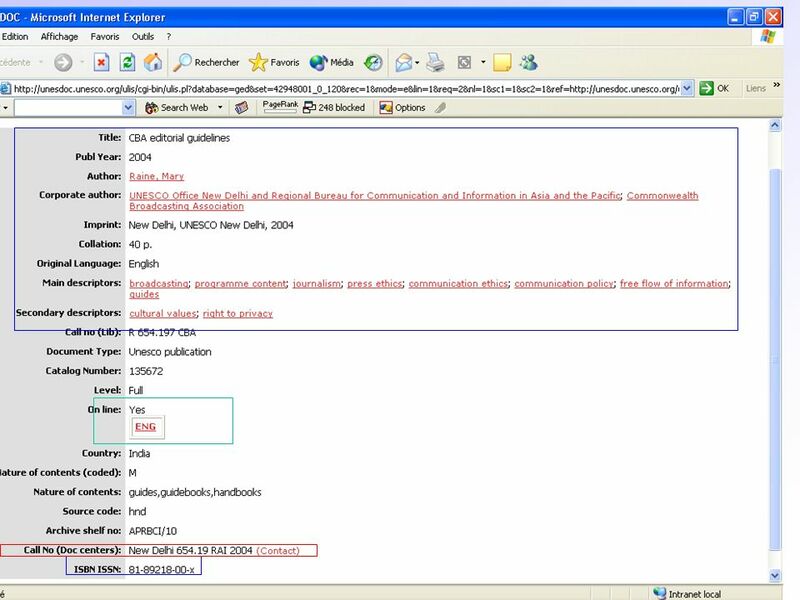 PRMS PRMS Concepts Categorisation Tree Ticket Progression Tickets Creation Assignment Groups Notifications to the Users. Click on the speaker icon to listen. Then click arrow Listening Exercises For MOTIFS Module 3 for the audio CD in your textbook Exit. 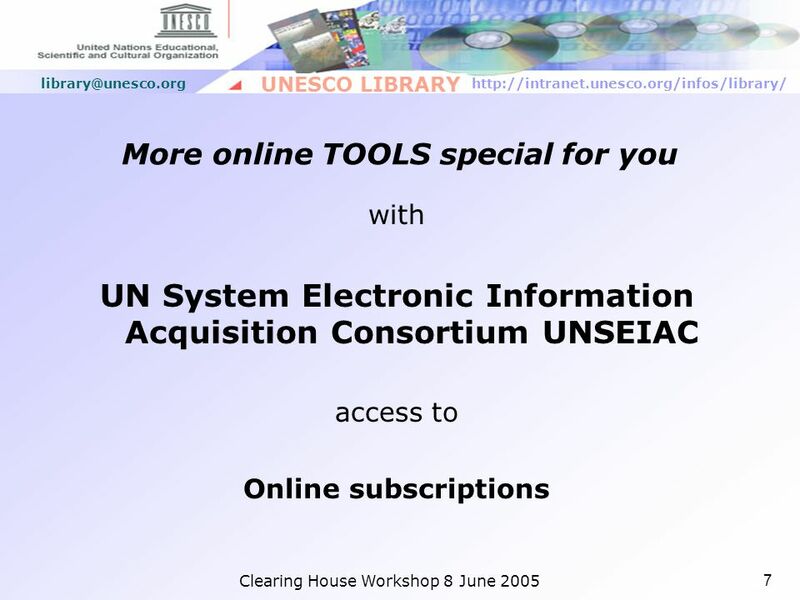 Library Automation Overview of Results January 24 th 2006 Jomo Kenyatta Memorial Library. 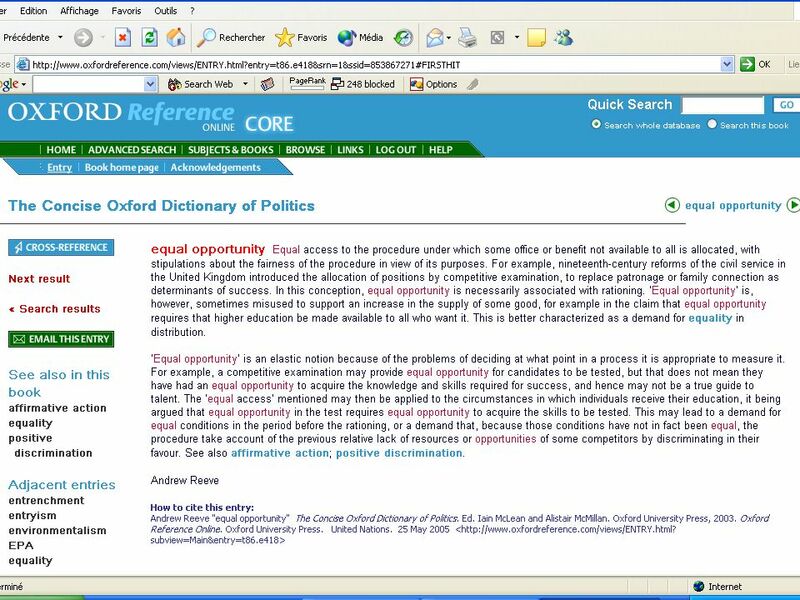 UKOLN is supported by: IESR, the JISC IE and beyond Andy Powell, UKOLN, University of Bath Using the IESR: what’s in it for you? 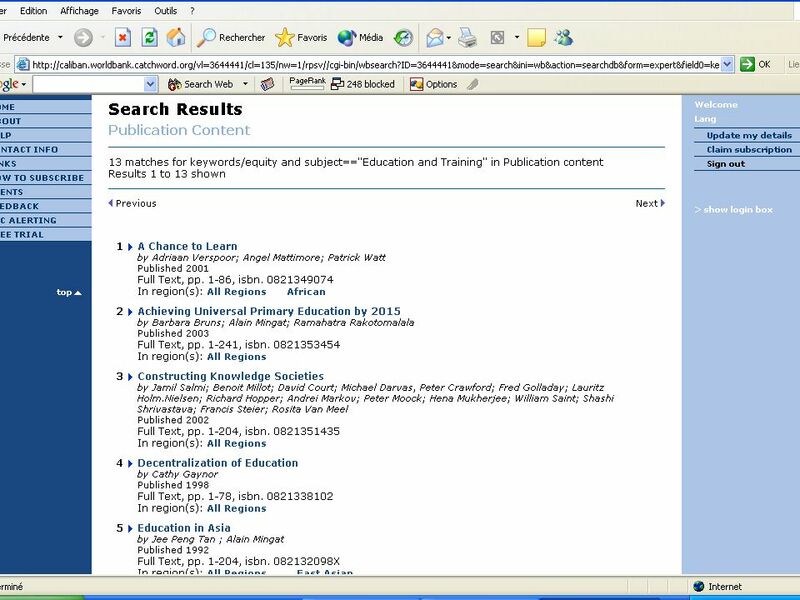 The Centre de documentation collégiale: your e-library focusing on education! Isabelle Laplante MLIS Head Librarian June 6, 2013. Introducing NC LIVE. NC LIVE: Information at our fingertips We live in a society driven by information. We want information now and we want it fast. NC. Presentation of Iraqi Legal Database Phase III. 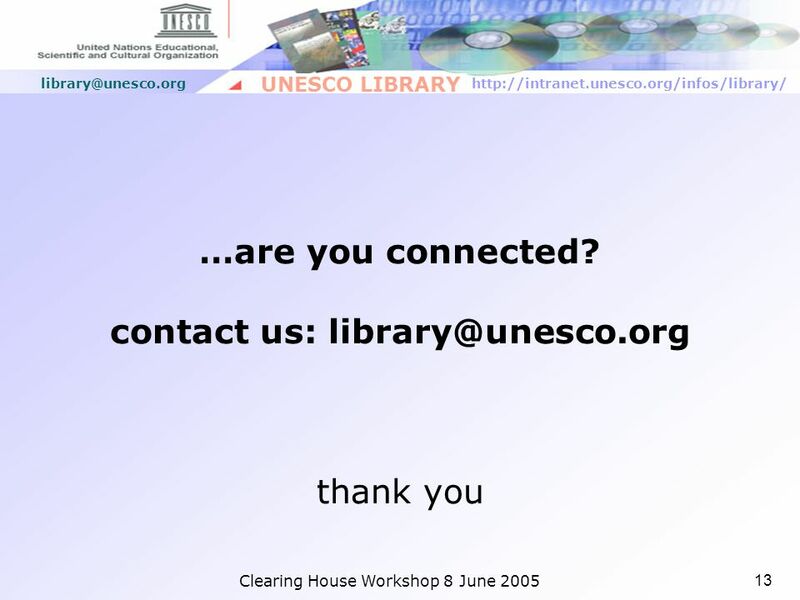 Presentation Outline 1.The ILD’s homepage. 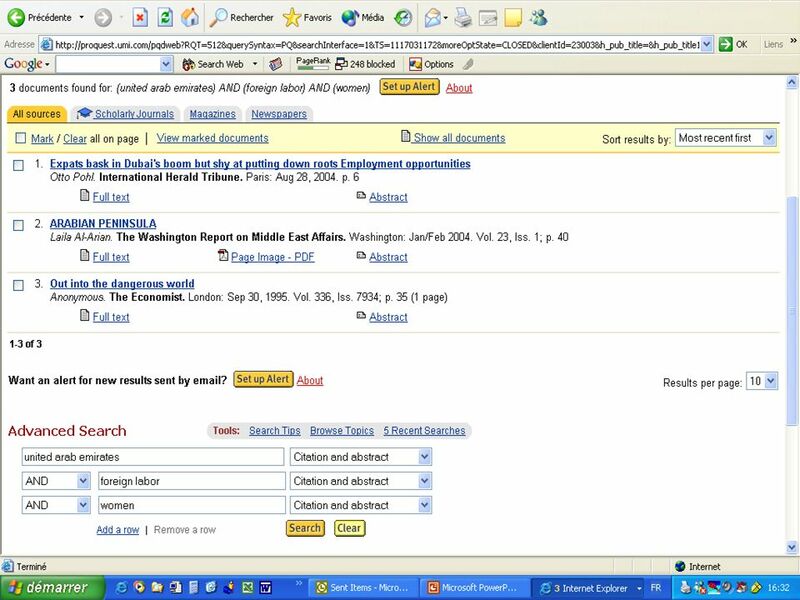 2.Searching by Reference. 3.Searching by Subject. 4.Searching.